Poll: Prestigious Colleges Won't Make You Happier In Life Or Work : The Two-Way A Gallup survey suggests the factors that should be guiding decisions on selecting a college are not selectivity or prestige, but cost of attendance, great teaching and deep learning — in that order. 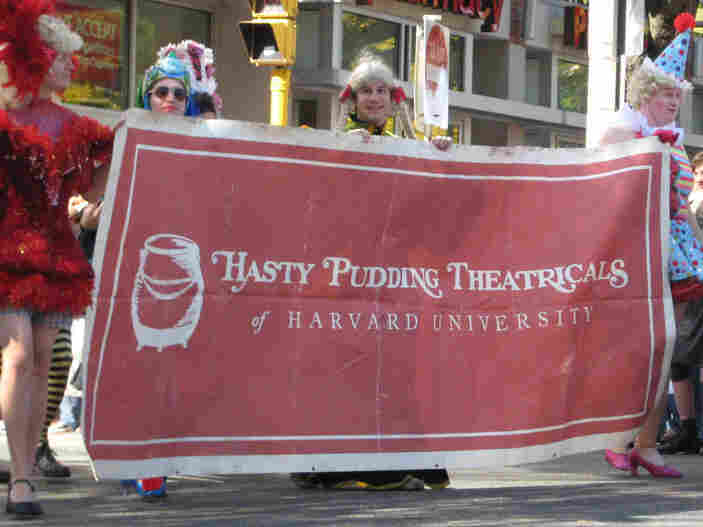 Harvard's Hasty Pudding Theatricals. According to a recent Gallup poll, only 2 percent of college graduates with $20,000 to $40,000 in undergraduate loans said they were "thriving."